Pocket Knife crafted by Vitchen is utilized in cutting and paring, easy to carry everywhere. 1. 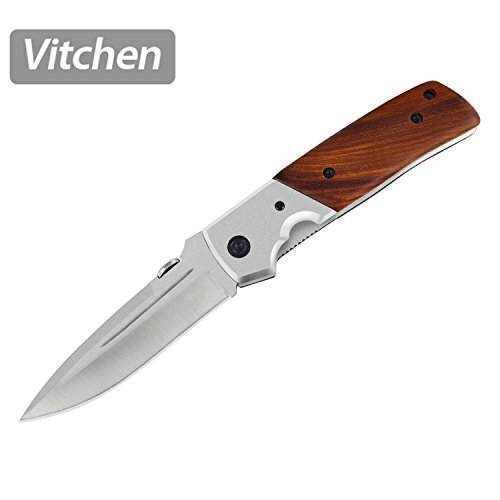 Pocket Folding Knife is sharp, please pay attention when using. 2. Wash with flowing water, wipe with dry cotton cloth or towel, store it dry. 3. Keep the tool away from children who is under 16 years old. 4. If you have any questions about the product, welcome to send a message via the Amazon. If you have any questions about this product by Vitchen, contact us by completing and submitting the form below. If you are looking for a specif part number, please include it with your message.